APS Honours - Time is now! 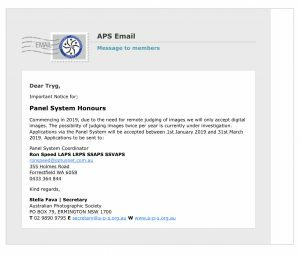 APS Honours – Time is now! 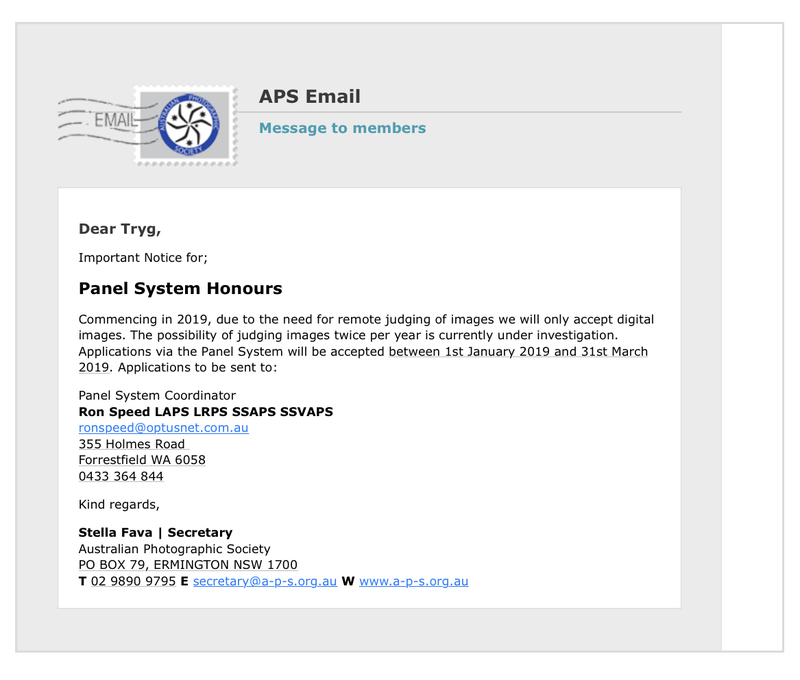 You will need to join the APS, $80 per annum and have either 12-14 images for Licentiate or 20-25 for Associate. The Panel entry fee is extra. At this stage, I am hoping to get three judges (who have Associate honours) to view entries for members. Each will pick out either 12 or 25 images, copy them into a folder from the originals submitted. This will give the submitter an idea how’d they might go in achieving said honours. Ultimately it’s your decision. Please start curating your entries.